Easy Cannabis Fudge Brownies- It's a launch! Grab a box of fudge brownie mix and use this quick-and-easy BYOB recipe to get started. For our twist on a classic, we use the entire bottle of BYOB extract — 100 mg of THC cannabis extract. The recipe calls for a total of ½ cup of vegetable oil, so we’re going to use ¼ cup of vegetable oil plus ¼ cup of BYOB extract. 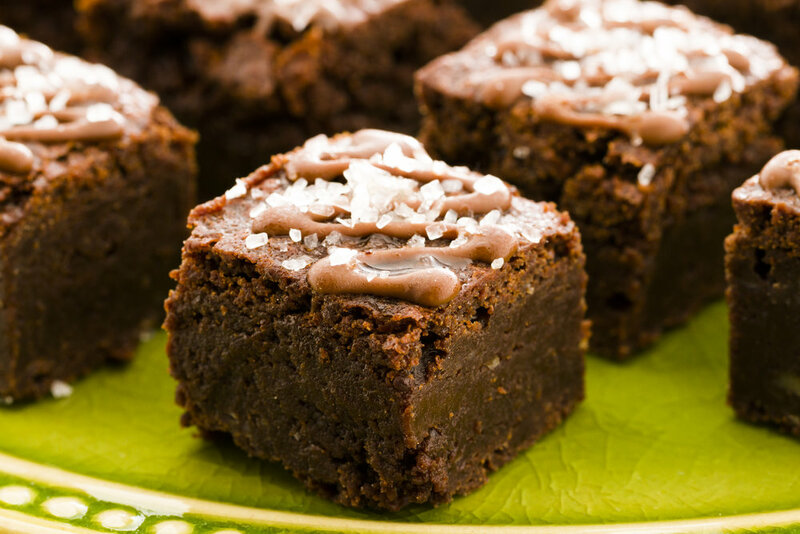 If you cut the brownies into 24 equally sized pieces, each will contain just over 4 mg of THC. For a less-concentrated batch, use 1/8 cup BYOB extract. Heat oven to 350°F. Grease the bottom of a 13” x 9” baking pan. Place vegetable oil and BYOB extract in a saucepan and heat over low heat, stirring with a disposable plastic spoon until the oil and BYOB extract are thoroughly mixed. Discard the spoon after use. Use a large bowl to combine the vegetable oil and BYOB extract blend with the brownie mix, water, and eggs. Stir until well blended. Spread in pan. Bake for 22–25 minutes or until a toothpick inserted two inches from the side of the pan comes out almost clean. Remove from the oven and cool for about 15 minutes before cutting. Estimate or use a ruler to cut the brownies into 24 equal pieces. Store your brownies in airtight container. Make sure the container is labeled as containing brownies with THC and keep it out of reach of children. Wash mixing bowl and all utensils, then wipe with alcohol to remove any residual BYOB extract. Sign up with your email address to receive BYOB news and updates. Spam is not our jam. We NEVER share your info. Promise.